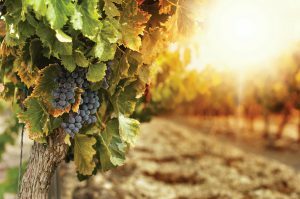 New research recently published in the Nature Climate Change journal, suggests that winemakers should be learning how to adapt their grape varieties to different climates as well as using lesser-known grape varieties to counteract some of the effects of climate change. Erratic and disparate weather patterns across the country have become increasingly frequent, with many wine regions across Australia suffering through unprecedented droughts, floods, bushfires and rises in temperature throughout recent years. These higher temperatures are causing earlier ripening as well as reduced grape quality, with winemakers now facing challenges they haven’t experienced before. The research also suggests scientists and vintners need to carry out more research and testing to really determine how climate change is affecting wine regions, and in-turn what affect this is having on the existing grapes they are planting. Currently there are 12 main varieties of grapes which make up 80% of the wine market in many parts of the world, with over 1000 planted varieties around the world, using lesser-known grape varieties that are better adapted to hotter climates and have a higher drought tolerance, is the way of the future. The biggest challenge however is convincing winemakers to try and experiment with other grape varieties. Particularly in the premier wine-growing regions, where winemakers have relied upon the success of the terroir in that region to produce outstanding wine, it will be challenging to get them to accept their grapes will be producing a different outcome due to climate change. What Happens if the Terroir is Altered? Terroir is known as the environmental conditions, especially soil and climate, in which grapes are grown and that give a wine its unique flavour and aroma. 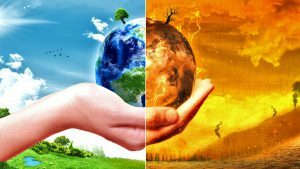 If these factors are altered as a result of climate change, it will mean the wines that have been produced successfully in these regions for many years will taste different and react differently to the wine making process. The other big challenge is getting consumers to accept and try the lesser-known grape varieties. 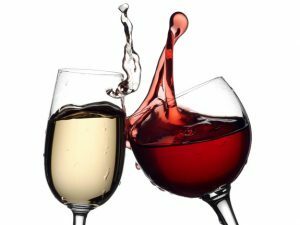 Europeans are more adapted to blended wines, however in Australia especially, wine drinkers are very focused on specific varieties, not necessarily where that variety is grown, which can make a big difference to the taste. With climate change showing no sign of slowing down, it is now or never for scientists and winemakers to come together to develop extensive research on how climate change can affect grape varieties as a whole, not just the 12 main varieties we already know so much about.